In 2006, the University of Georgia (UGA), Athens, Georgia, re-dedicated its Old College building after an extensive bicentennial renovation. The project included a host of sustainable design features, such as recycled building materials, an efficient heating, ventilation, and air conditioning (HVAC) system, low-emitting finishes, and water-efficient fixtures. The upgraded building served as the test site for the campus’ green cleaning initiative. The UGA facilities management division whittled the 30 traditional cleaning products used in the 20,576-square-foot building down to just three green-rated products — a concentrated neutral disinfectant, an all-purpose cleaner and a window cleaner. 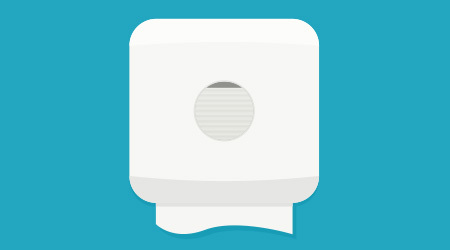 The program also included swapping cotton cloths for microfiber, upgrading to vacuums with high efficiency particulate air (HEPA) filtration, switching to recycled paper products and installing a dilution control system and new paper dispensers. The program was a resounding success, garnering nearly immediate support from UGA’s 44,000 students, faculty and staff. It cost $550 to implement, plus $250 a year to resupply the building, and created an annual savings of $700. In the next two years, the facilities management made the chemical cuts campus-wide. Overhauling a cleaning program for 9.7 million square feet spread across 212 buildings on 615 acres is not an easy feat. How did UGA do it so quickly? One key to success, says Thomas, was communication. Before starting the pilot program in Old College, Thomas’ department helped everyone in the building understand the reason for the changes — UGA was going to be cleaning for health, not appearance. 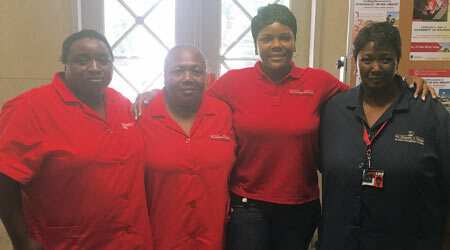 The pilot program included the creation of UGA’s Building Service Worker Academy, a mandatory two-week training exercise for all building service workers. The academy continues today and includes a week each of classroom instruction and hands-on learning, and concludes with a required test on green cleaning. After training, building service workers earn a certificate and are given support to earn their graduation equivalency diploma (GED), associate or bachelor’s degree. Academy curriculum covers a variety of green-cleaning topics (how to use microfiber tools, ergonomic equipment, color-coded system for mops, the double bucket system, etc. ), as well as general topics like workplace safety, conflict resolution and preventive maintenance practices for cleaning equipment. Prior to executing the green cleaning pilot program, facilities management also enlisted students, who designed a logo for the program and posters to communicate the changes. Clear communication with all stakeholders helped word spread quickly. Soon, there were murmurs across campus about the big changes happening in Old College.